Now, not everyone surveyed responded, and there may be an inherent bias to research (as with all research), but wow, 84% is a very high number. The research additionally said that injuries tended to be upper body, specifically shoulder, neck, and back, often related to playing load and frequency. Another research project in Germany had a much larger sample population, with very different numbers. With a very low response rate, only 8.6% of the candidates responded to the survey, with 66% of those candidates reporting pain. The most frequently reported localizations of pain were the body parts which are mostly involved in instrumental playing such as back (70%), shoulders (67.8%), neck (64.1%), hands and wrists (39.8%). What is most compelling to me about the research is that there is such a high level of pain in the industry of orchestral music, and yet it is something that is not often discussed or addressed until a serious injury is present. When I attended college 10+ years ago, this was a topic that was sometimes discussed, depending on the private teacher. Some music schools offered occasional classes or workshops (one time classes), others offered semester or quarter long courses on different movement modalities such as Alexander Technique or Feldenkrais. These are all excellent things in and of themselves, but I think we need more. If we compare music training to dance training, most dancers take classes in anatomy and kinesiology, as well as a general dance medicine course. (Conversely many professional dancers do not go to college prior to joining a company, so it’s hard to know how companies offer care for their dancers). Unlike dancers, professional musicians are expected to work until their 60’s or beyond, whereas both professional athletes and dancers will retire in their 30’s or 40’s. If musicians want to play into their older years, they need more resources, earlier in life. They need teachers and colleges that are aware of that, and integrate into their curriculum, not as a novelty workshop, but as part of the core training. Staying healthy and free from overuse injuries is critical in order to do one’s job long term, especially in an orchestral environment, where the hours of playing may be long, with limited breaks and challenging music. In my few years of playing in orchestra, I’ve seen colleagues battle different injuries, often at the expense of the healthcare system. Sometimes freelance musicians (and freelance fitness teachers) don’t opt for health insurance because the premium is just too high. Sometimes enough physical therapy isn’t authorized by a doctor or the co-pay is too high, sometime doctors don’t have training in working with musicians and simply tell musicians to take a break, sometimes overuse injuries are misdiagnosed and mistreated. While there are some wonderful doctors that specialize in working with performing artists, there are others who have given terrible advice to my colleagues, such as telling a colleague with wrist tendonitis “to lose weight,” or a musician with a ganglion cyst “to stop using his hands so much.” Our healthcare system can also do better in working with injuries and artists, and part of that stems from a misunderstanding that music is an hobby, not a vocation. Many musicians have been asked, “What is your real job,” when teaching and performing is our real job, and our health is important. For musicians of all persuasions, their body is their instrument, even if they are not singers or dancers, and I’d love to see changes in this field to support that. What if more college professors had training in understanding the body and more resources for injury prevention/treatment? What if colleges and conservatories had classes built into the curriculum? 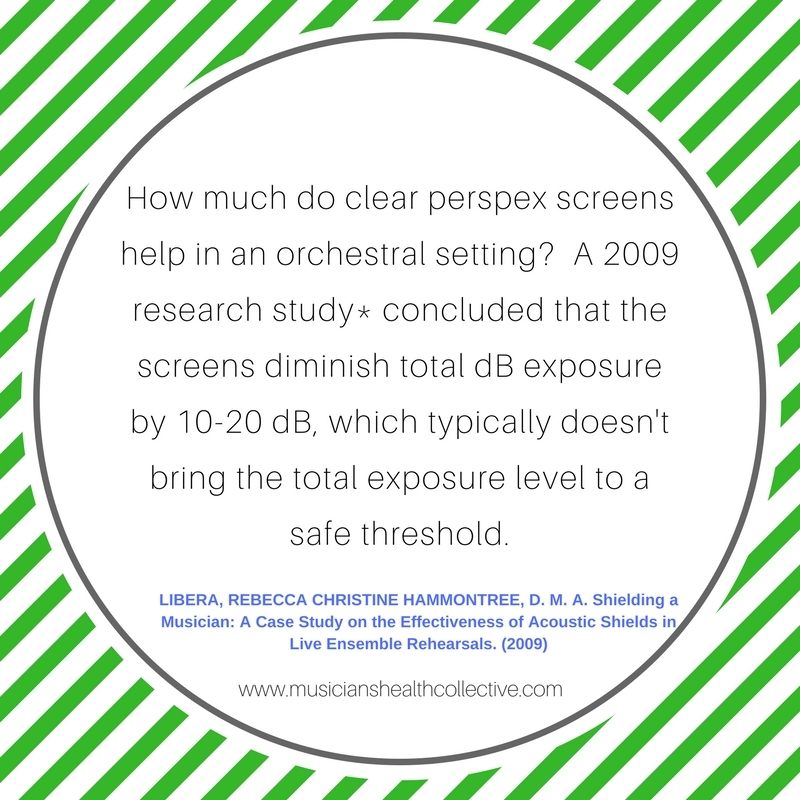 What if professional orchestras bought into insurance plans that supported PT and preventative healthcare initiatives? What if more universities and colleges offered body oriented training for their instructors so that teachers can know about mental health, physical health, and other resources that are available? What if professional orchestras had a PT and massage therapist onsite for bookings between services? As I begin my new job working in a ballet orchestra, I see the many resources that most companies provide for their dancers in terms of classes, preventative health resources, massage, chiropractic, and massage. While dance is a different field than music, few if any orchestras offer similar resources, despite the toll on the body long term. 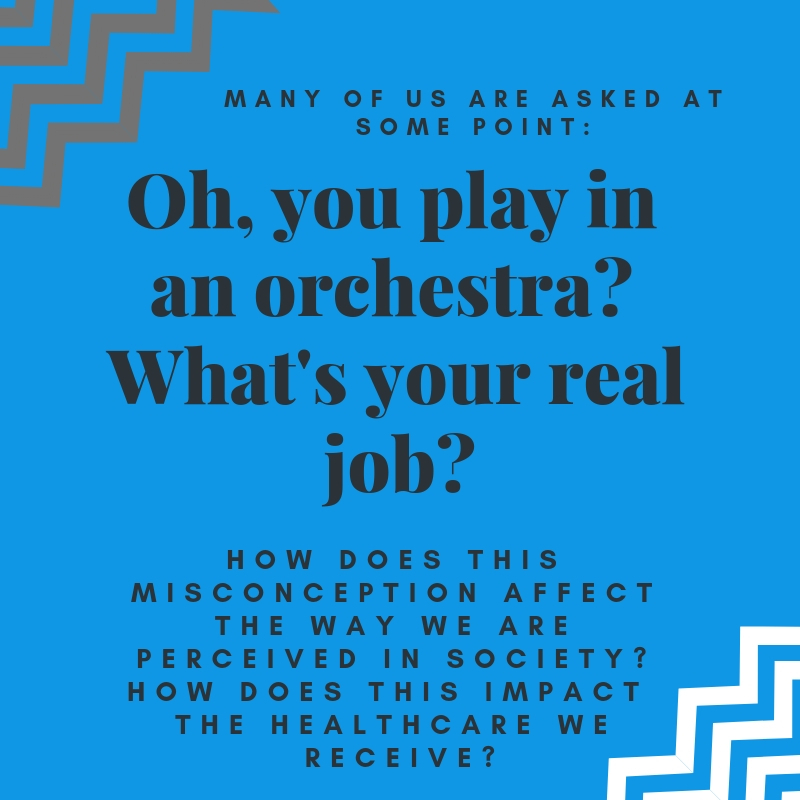 One can make the argument that orchestras pay better than dance companies, and while that is often true, there are many “full time” orchestras in the US who make well under the median salary of $61k as well as many underpaid freelancers, where people are working multiple jobs to make ends meet and self-care is a luxury, not an expectation. Things are definitely changing in this field with the prevalence of more body oriented training and resources, but I’m curious as to what more is possible in both education and professional realms. BBC Guide to Musician Hearing Loss: A very neat article looking at different venues in England, the size of stage, reverb, risers, etc. Pitch Discrimination while wearing Musician Earplugs: This is a fascinating study that can help clarify how much one can really hear while wearing earplugs. If you have more suggestions for products, studies, or more, let me know and I'll add it to the list!